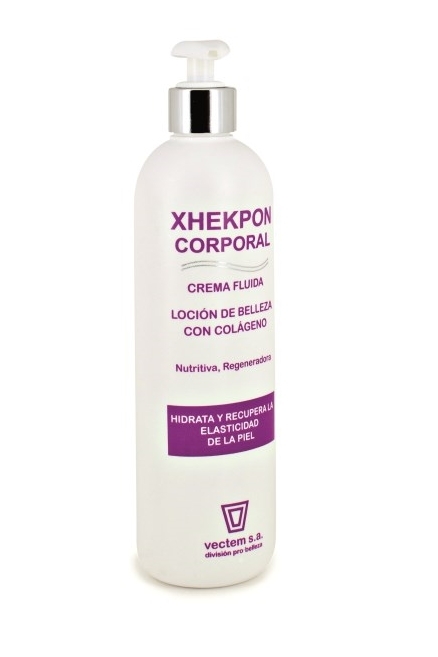 XHEKPON BODY , vectem s.a.
MOISTURISES, NOURISHES, REGENERATES - MOISTURISING BODY MILK WITH COLLAGEN AND ALOE VERA, RESTORES SKIN SUPPLENESS . Fluid beauty cream, enriched with collagen and Aloe Vera. A rich, nourishing moisturiser for soft, supple skin. •	Helps avoid scaliness, leaving skin supple and lustrous. •	Apply after bath or shower.